Hooray For Summer!! Growing up in the south, summer/beach time was always looked forward to ever year. So you can imagine my excitement that our next assignment was back down south after living a cold 4 year Alaska. Alaska is certainly a beautiful state and I have to admit that I do miss it, However for me, theres nothing like a day or weekend at the beach to re-center your mind and body! You gotta love that Vitamin D mixed with a little bit of ocean breeze along with waves crashing to de-clutter and chase away any stress that is ailing you. Back in the day, all I needed was literally a beach towel, a book or magazine and earphones! Fast Forward to being so blessed to have a family of 4 now, there is a lot more that has to come along if I want to have a relaxing day by the ocean. It seems like we add on to our beach haul every year and I'm sure I will probably add more next year, The list I'm providing you today are items that we actually used (or similar to) and it helped make our beach day a SUPER SUCCESS! Don't mind all of the green, it just happens to be my favorite color. 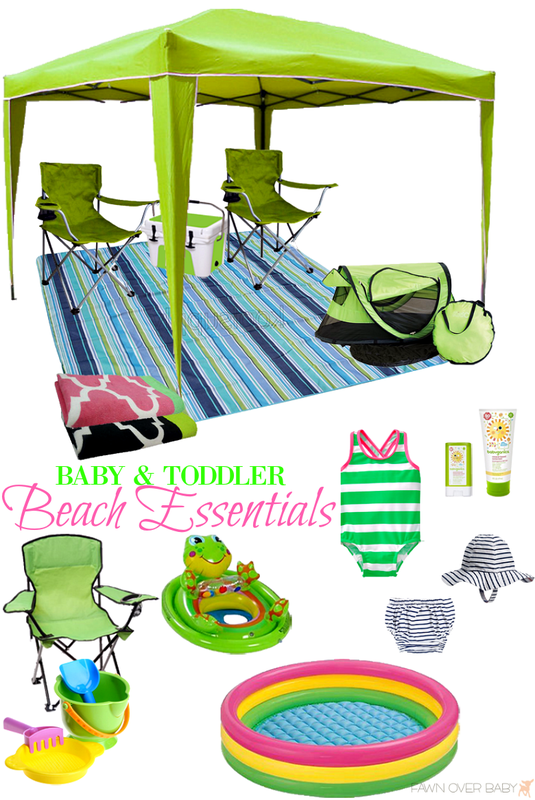 If you are a family of three, an umbrella and blanket may be all you need, however, when you have two or more kiddos to look after while spending an entire day at the beach, I'm telling you your beach haul will need additional items if you want a some-what comfortable day. I hope my list helps in your preparation and provides you a good place to start when it comes time to pack. I would love to read what your must-haves are, feel free to leave your beach essential favs in comments below! 8X10 EZ Pop Up Beach Canopy: We purchased ours at Fred's Pharmacy. Similar.